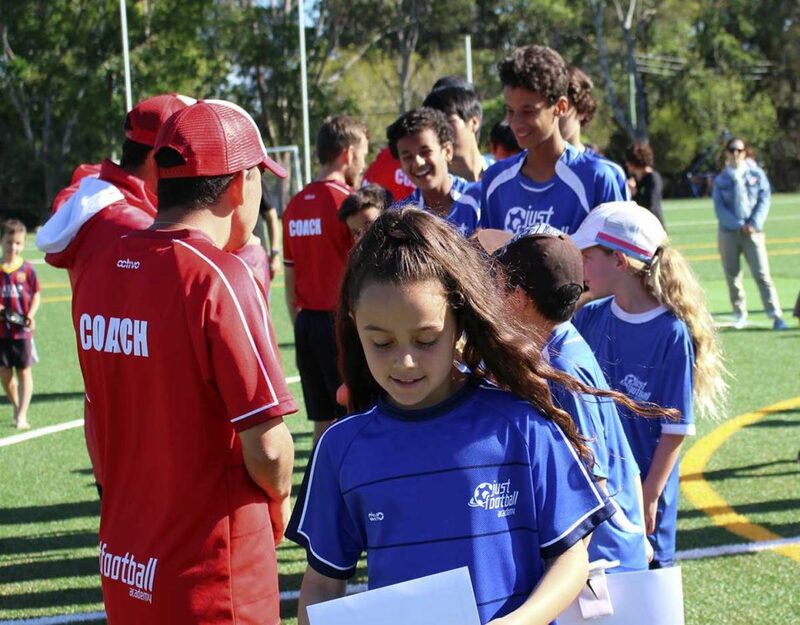 There has always been discussion around our selection process when it comes to footballers. The big strong physical players that intimidate, and the speedy energetic players that cover lots of ground, are the ones that stand out. Most the time these players are born early in the year and have the obvious biological advantages that science has already proven. Unless you are above average in your development curve, you are behind your peers in the physical battle if born later in the year. Before you read on, this article may not apply to all physically stronger players, some may indeed also have excellent technique to compliment their physical strengths. Big strong lads are generally more aggressive and commanding in the close contact battles. They protect the ball well through strength rather than technique, win the duels with their size, and command the space around them. The fast players often use space well with their running rather than vision, are first to the ball and quick to recover. The physically strong player, whether that be strength, size or speed, is mostly effective through simplicity. A big strong lad simply has to use their weight and size to shrug a challenge, retain possession or win a high ball. The fleet footed player simply has to push a ball past a defender, and into space to out run an opponent to get past, and use their speed to be first to the ball. Through no fault of their own, sometimes these players fail to develop the awareness required to create time and space for themselves, because they don’t need to. 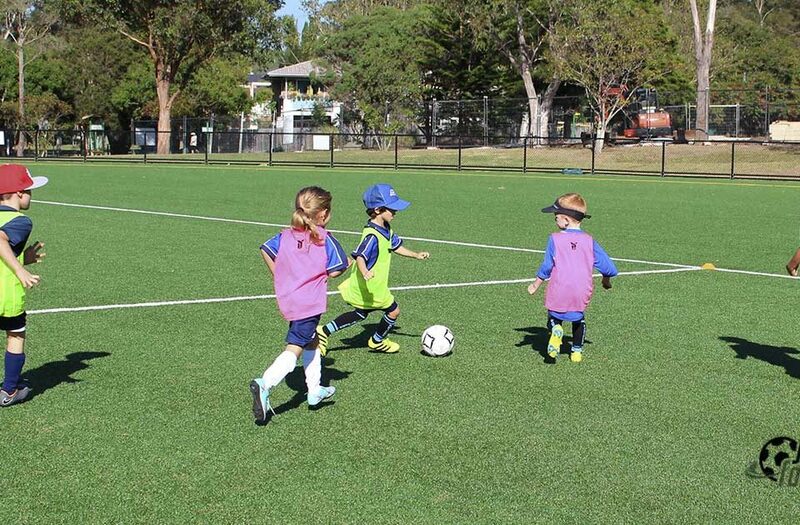 A smaller child has to learn ways to avoid the physical contest, so they require the ability to scan the field before receiving, fakes and feints to shake off a defender, and timing of their movement to arrive unmarked in the right areas. They need to be clean in ball technique when changing direction, to be affective. Some fast players don’t develop tools of deception because they can just skip past any player with speed. The slower child has to learn to be patient, anticipate better, and use skill to out smart their opponent. It is easy to watch on and be impressed by the physically stronger players. They appear to be better, they win more battles, they seem more devoted, and are more successful at that moment. Responsibility has been placed on coaches to assess fairly, with consideration for all players being equal. But the problem goes further than just us coaches; there is a chain reaction that occurs. I believe there are three main responsible people that influence the outcome of the physically disadvantaged player. It can be difficult for coaches to look past the faster and much stronger child. It can appear that they are more determined, passionate and hard working. They are more confident, commanding and loud in their actions. If a strong lad dwells on the ball under pressure, they still have the ability to retain possession with their strength. 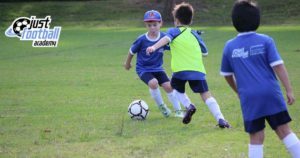 A smaller child may be accused for being careless, and this can irritate the coach if they continually lose possession due to physical inferiority. 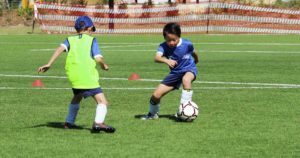 There may be no difference in technical ability, in fact the smaller child may possess better ability, but lacks the strength to maintain balance and possession of the ball. A speedy player may continually make superior runs in behind the back line, and get many scoring opportunities, but have little technical ability. They would appear to be good players despite their skill level, a slower player may not be able to outsprint an opponent and thus appear weaker. They would need to anticipate early, consider passing or turning back inside, as they would be run down too easily. 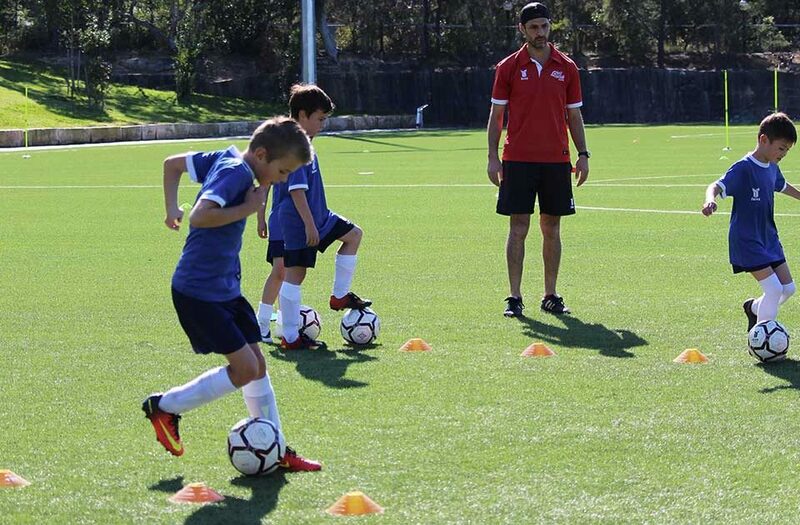 As a coach of technical players, my assessments are based around the child’s ability to change direction with the ball, turn away in either direction, shift the ball to either side of their body etc. Unfortunately in the team environment this kind of selection process would most likely be harmful to a coach’s win/loss record, and is more of a long-term decision. What the coach is seeing, so is the parent. The difference is that the parent would in most circumstances be less educated in what technical attributes to identify. If it is difficult for a coach, then it would be even harder for a parent. They would see that the other kids are quicker, or stronger and more dominant physically, therefore better, in their own assessment. This perception would be translated subconsciously and unintentionally to their child. I have heard the language of parents when this has been the case and it is only a measure of physical superiority, not skill. This would have an affect on the child’s confidence, belief and drive. The parent is reinforcing what others have insinuated or suggested, that they are not as good. Technical ability is not about tricks; it is about management of the ball and the execution with it, and the decision-making of a player. A lot of the time, the technically stronger player is helping the physically stronger player look good. The player is a student, and what they are told or what they interpret, is their truth. A player does not need to be told that they are not faster or stronger, they would realise this themselves. It is the duty of both parent and coach, to educate them on what is a measure of talent in the game of football. To compound the challenge these players face physically, they can easily become dejected and play within themselves, thus not playing to their potential. We can hardly blame the coaches when these kids are not performing due to their own insecurities. If the parent and the coach show value towards the physically stronger player, then the players will also measure themselves in the same way. Coaches in particular, need to positively reinforce the progress based on technical ability, through technical exercises this can easily be achieved. Fast players should also be managed closer with an eye on their decision-making, and whether it is always based around their strengths. I believe coaches can be more conscious of their coaching instructions from the side-lines, too much structural pointers and no praise or guidance of technical skill, will not help. 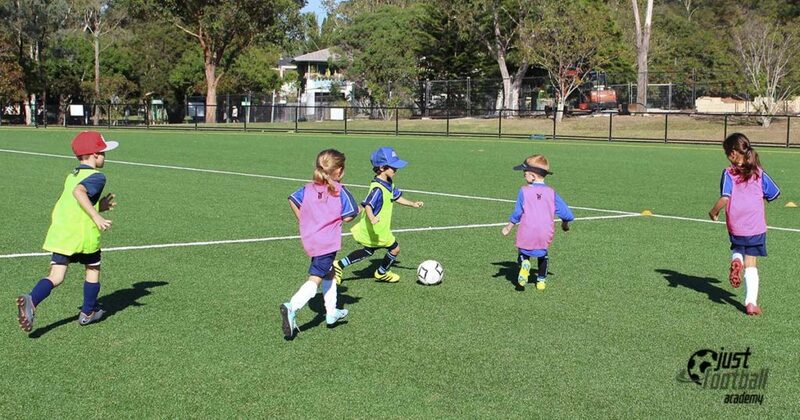 What is important to understand is that physical attributes are developed at different stages of a child’s growth. 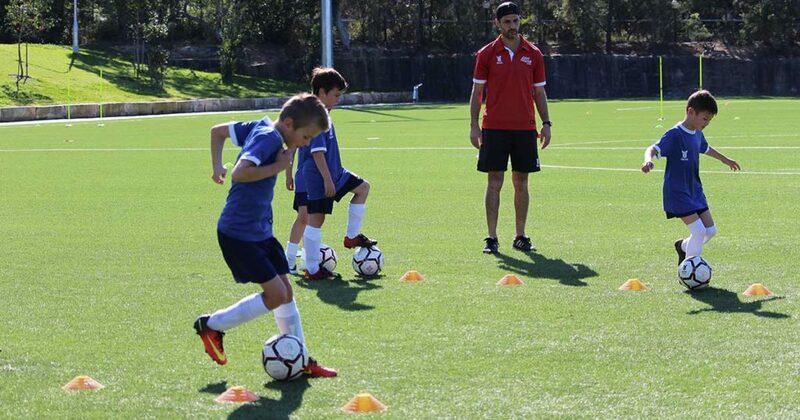 Technical skills do not come to you, they must be developed purposefully, they must be the key focus for a player. By the age of 15 or 16 biological growth levels out, exposing an individuals technical level. A player’s drive and persistence will ultimately determine their destination. 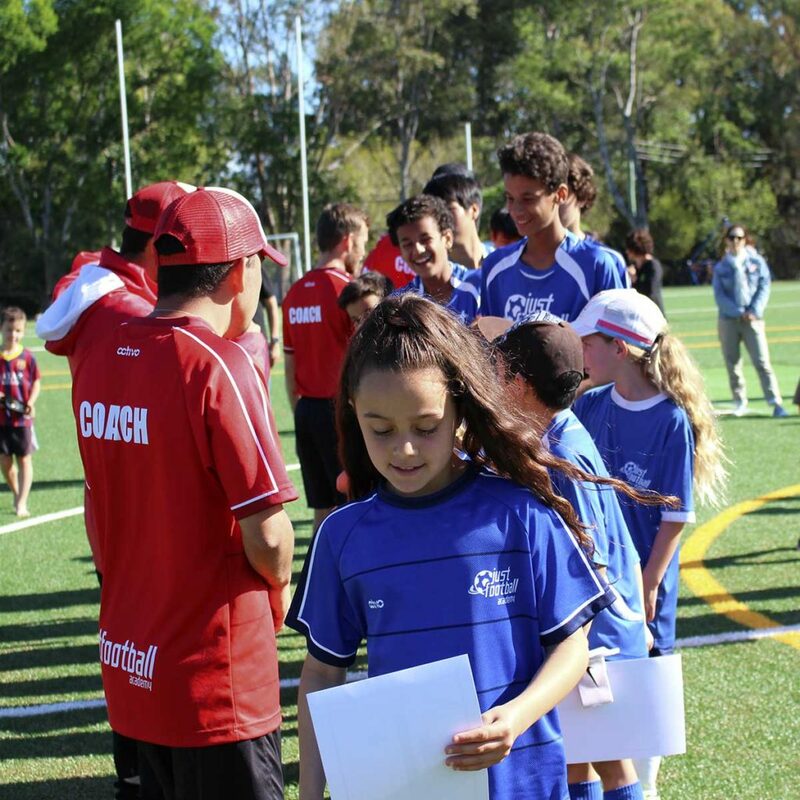 Just Football Academy is one of Sydney's leading youth soccer training school offering quality football training programs to develop a player’s technical skills. We believe that a player with superior technical skills is more composed in possession and capable of developing better awareness.